Hi I have 1 child and struggled to have him he is my true miracle.. Here I am almost 5 years later and I would love to grow my Family. I have always thought of adoption but never jumped in cause I would read and then get myself overwhelmed with all the info out there but now my Son is really wanting a sibling so I know I need to start the process.. My heart is so big and I always dreamed of a large family but now I am 41 and know time is ticking.. I am looking for any info on where to Start without feeling lost.. Is there somewhere I can research for the best agencies to get the process started? Your child wanting a sibling is not a good reason to adopt so check your own feelings. Are you married? What does spouse say? What kind of adoption infant? International? Older child? from foster care? Your child will probably be 7 or so by the time you adopt so won’t really be too interested in an infant but maybe later will want to play with sibling. What agency depends on what type of adoption. There are a few who do all kinds of adoption but most are limited to international or domestic. Some only accept people of a certain religion. Some discourage single parents most do not. Do you know much? Have you been reading or going to meetings? Would you want openness in adoption? How much? It is overwhelming. I would start by calling agencies in your area to see if they have information meetings.Or there may be support groups that can help. Where are you in the country? Maybe someone can suggest an agency to begin with. 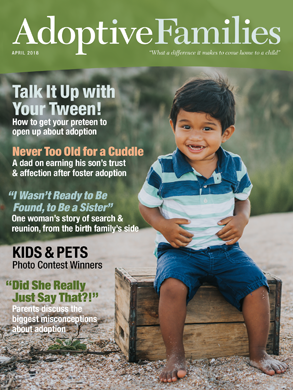 Hello, the adoption journey can be overwhelming. We have extensive experience with adoption and didn’t use an agency for our 2nd private adoption. We matched in 10 days. I’m happy to answer questions or give you some information. If you would like me to do so please contact me. Regardless of your decision, I pray that you have a wonderful experience and bring your baby home soon. TY for the responses… YES I want this as much as my son I just got overwhelmed and then had alot going so here I am 5 years later.. My Husband is on board with going the adoption route as my son was our miracle..
You’re welcome. I received your message and responded. Please let me know if you have any questions. I’m excited for you starting on your adoption journey!